Sure, the Falcons missed the Super Bowl in pretty horrendous fashion. But you should stop licking your wounds, because that's something animals do and you weren't even personally injured. 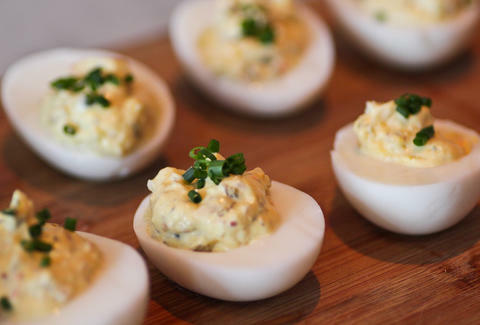 Instead, start licking your chops once you read about Albert exec chef Shaun Whitmer's amazingly delicious Super Bowl recipe for deviled eggs with a shrimpy surprise.